With HEL’s extensive automotive listings the complete kit will be manufactured to exact specifications, guaranteeing the look, the quality and the performance you demand. 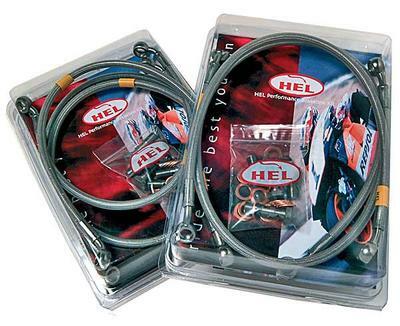 HEL Brake line kits eliminate that 'spongy' feeling often found with rubber hoses under extreme braking conditions - the time when performance is needed the most. By replacing the original rubber hoses with HEL complete system you will remove this sponginess and your braking will deliver new levels of precision. Don't risk using inferior brake lines when you can trust us to improve braking reliability and performance - HEL uses stainless steel in our lines and our fittings. Most competitors use zinc plated fittings which are at risk from corrosion. Choose your colour and order your brake lines. HEL are the first manufacturer in the industry to offer a PVC cover applied during the hose manufacture to protect the bodywork and paint of the vehicle. Previously covers were applied by way of a heatshrink which gave a sub standard finish and which would make colour matching future lines impossible. By choosing to have the PVC applied during the hose construction meant that stock holding was massively increased over competitors but did give the highest quality finish in the marketplace. Soon all other brands replaced in-house heat shrinking with pre covered hose. 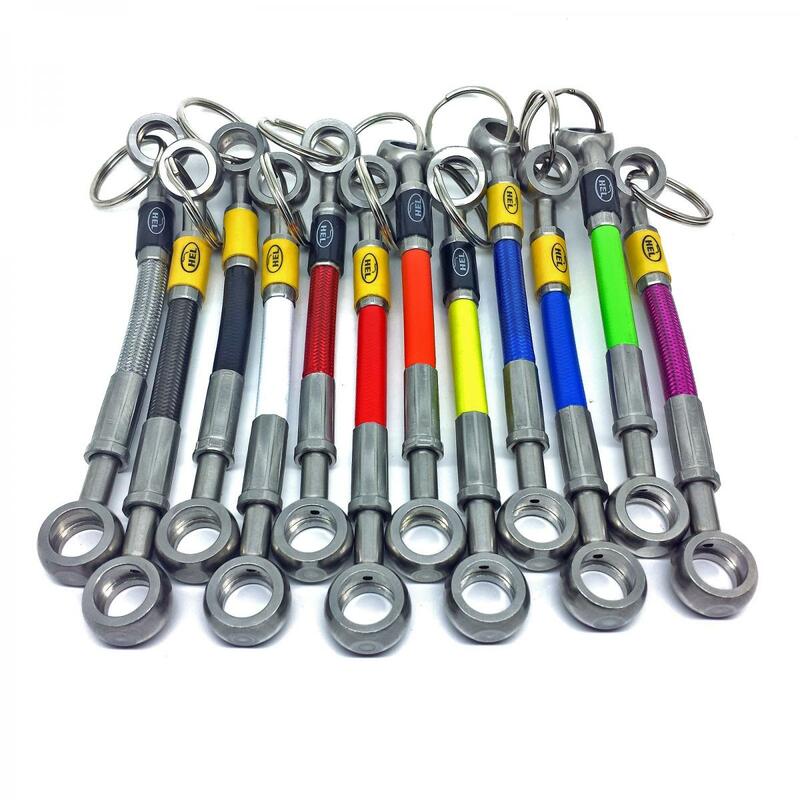 HEL are the first manufacturer in the world to offer coloured stainless steel fittings as a safe replacement to dangerous coloured aluminium brake line fittings. Aluminium fittings on stainless steel hose subjected to the introduction of water results in a battery effect taking place resulting in electrolytic corrosion.This could lead to the failure of the fitting and was something HEL felt ethically unable to offer to a consumer looking to get a high performance brake product. HEL feels that the industry has been taken forward by the instigation of HEL’s radical and exciting concepts and designs. HEL knows that by changing the industry through innovation, HEL have helped to create a safer and improved product for the consumer. New developments have included the world's first mountain bike brake line kit that includes all fittings required to manufacture a hose for any current system. 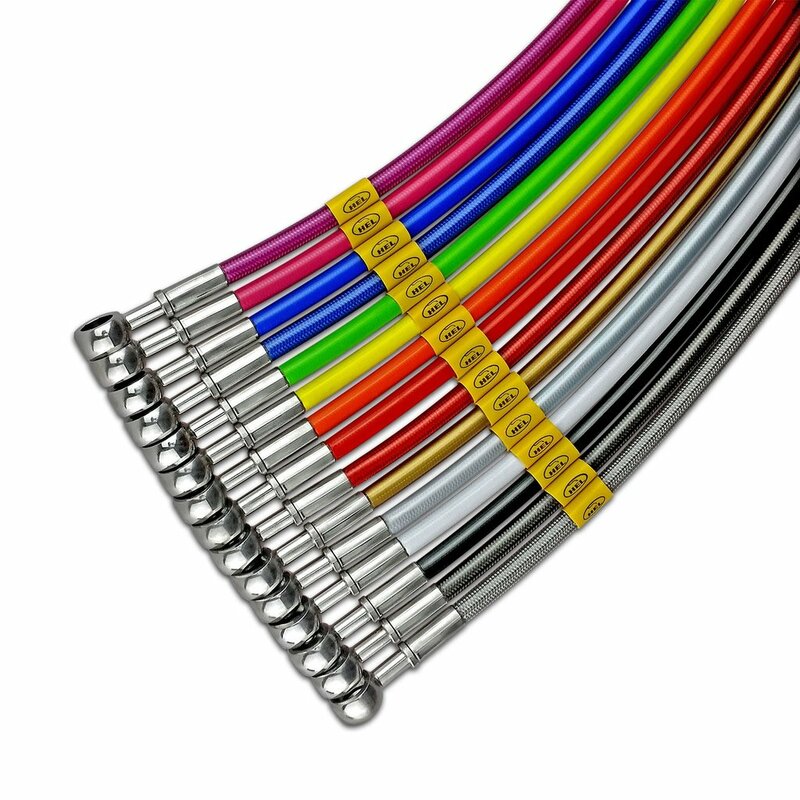 HEL have also launched a full automotive brake line application list which again only uses stainless steel fittings directly swaged on one of fifteen different coloured pvc covered brake lines. HEL is working with one of the world's largest motorcycle brake disc, caliper and master cylinder manufacturers to allow them to offer the complete system to their customers. All products from HEL have appeared in local, national and international competition and help set new records worldwide. Since starting this journey 18 years ago HEL Performance products have spread around the world. HEL pride themselves on the fact that HEL does not have a single company representative on the road and instead have allowed the product to impress and extend itself around the globe. HEL Performance products are now available locally in over 72 countries around the world covering the five continents of Europe, America, Africa, Asia and Australasia.